The Royal Mint team at H&G towers has been busy working on its latest coin launch, which brings one of the world’s favourite literary monsters, the Gruffalo, to life. The famous story of brain over brawn, written by Julia Donaldson and illustrated by Axel Scheffler, was first published 20 years ago and has become a firm bedtime favourite with the tale and stunning illustrations proving to children across the world that monsters aren’t always frightening. 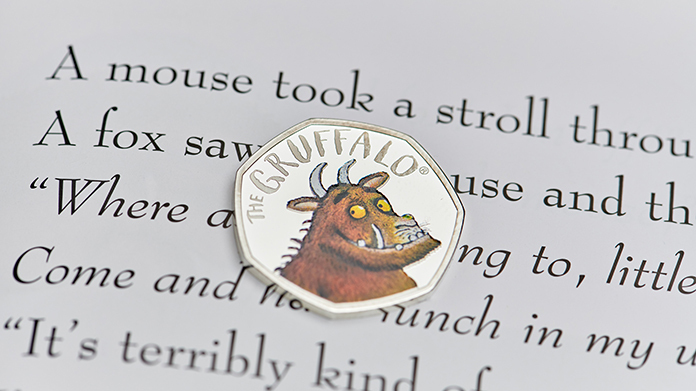 We captured some beautiful imagery of this special new 50p coin with the Gruffalo’s original creators as well as alongside the renowned illustrations in the book itself to accompany our announcement. Ensuring the media had the perfect visuals to bring the story to life. And the team outdid themselves, securing over 360 pieces of coverage (including 22 nationals!) in the likes of The Daily Telegraph, Daily Mail, Metro, I, Evening Standard and Good Housekeeping. Following the widespread coverage and public excitement of the launch, people queued online to get their hands on one of the coins, with every coin selling out within a few hours.